Posted by Briana Hammontree on February 1, 2019 in Lifestyles, Top Stories. 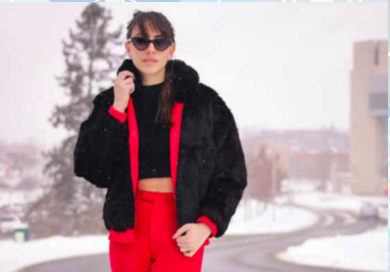 As temperatures drop in Michigan, Ferris pre-optometry sophomore Jessica Bernhardt finds dressing for warmth to be more important than following the latest trend. “If I’m going out for the weekend, then I’ll dress up and stuff. And I like being fashionable, but I have 8 a.m.’s every day, so at that point, I’m like: no. It’s freezing outside, and I don’t even think about getting into anything cute,” Bernhardt said. For Bernhardt, her go-to comfort zone for winter fashion includes leggings, a big sweatshirt and flannel overtop with her coat. “I think it really depends on the type of person. But typically, in the winter time, I see people dress in leggings or sweatpants and stuff like that, but I guess I’m always jealous of seeing girls who look really nice. Like, how do you do that?” Bernhardt said. 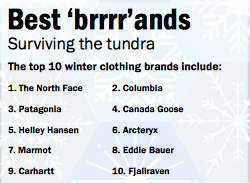 Some brands that are favorable during the winter time are North Face, Columbia and Carhartt, but for Bernhardt, specific brands don’t matter. Though Bernhardt doesn’t see a need for name brands, Ferris secondary English education sophomore Ramsie Rairigh recommends them for students who get cold quickly. 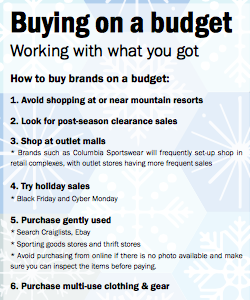 “There are certain brands that I do get behind – like Columbia, and North Face coats are like really warm, like really warm. They’re the best in my opinion,” Rairigh said. While some prefer function over fashion, Ferris marketing junior Gwen Robbins believes you can have both—noting North Face and Patagonia as good brands to look into for fashionable, high-quality clothes. “Just because it’s cold out isn’t a reason to not put effort into your appearance. When people look at you, the first thing they notice is what you’re wearing. 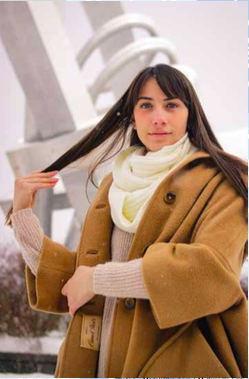 There are plenty of ways to stay warm and look cute at the same time,” Robbins said. When it comes to buying specic brands, Robbins believes when it comes to quality of the item, you get what you pay for, but that doesn’t mean you won’t find a hidden gem or two from your local thrift shop. “Thrift stores are an economically and environmentally smart choice, and you can find clothes that you wouldn’t find anywhere else,” Robbins said. The above information was found on www.moneycrashers.com. The above information was found on www.ranker.com.